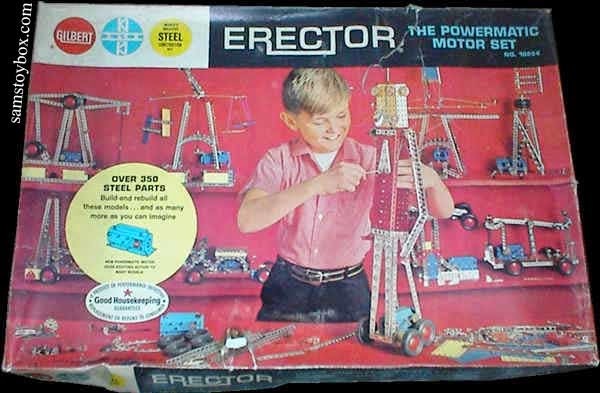 Berz "Billy" Wagner and I went to the same High School and Middle School.. Billy was a year older then me, and he had a band called The Erector Set, which was named after a popular toy of the day that contained many small dangerous parts. This educational toy did seem to bother manufacturers or parents in the 1960's, nearly as much as it would in today litigious society. 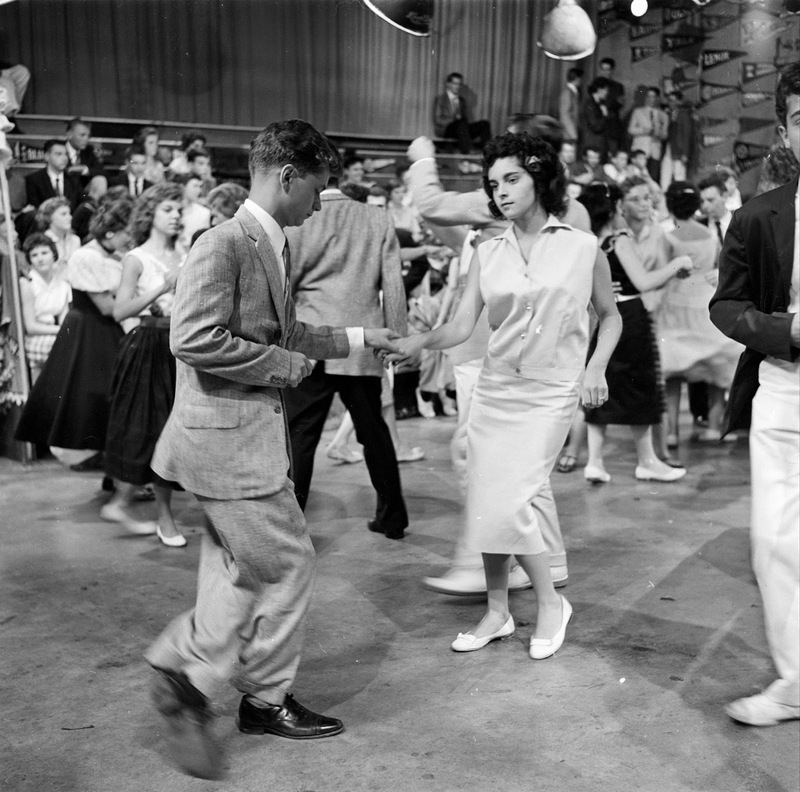 Billy’s band played at many of the high school and church dances. Their repertoire consisted of covers of Chuck Berry, Lonnie Mack, and The Ventures songs that were popular at the time. The first time I saw Billy he was playing a 1963 Gibson Melody Maker. This was about the same time I was learning my first few chords on my pawnshop Harmony Patrician. That Melody Maker was about the coolest guitar I had ever seen. His instrument was the dark sunburst double cutaway model with two single coil pickups. I cannot recall what type of amplifier he was using. 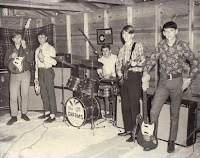 Back in that day a lot of kids were using Sears/Danelectro Twin Twelve amplifiers. Billy had all of Chuck and Lonnie’s licks down pat. I was impressed and envious. I had to practice more, and that is what I did. The Gibson Melody Maker debut was in 1959 and Gibson ended the run in 1971. The Melody Maker was an economical, beginner’s instrument which came with a thin slab-style mahogany body and a one-piece mahogany neck. Gibson assembled all the electronics on the guitars black scratchplate, which they installed over a rout in the top of the body. This included the one or two single coil pickup, depending on the model, the volume and tone controls, the toggle, and the input jack. As stated, this guitar came with either one or two pickup models. The words “Melody Maker” embossed in gold letters in a section of the scratchplate that was at the base of the neck The glued in neck was unbound. The fretboard was rosewood with dot markers. The headstock was very slim and not much wider than the neck. The strings attached to a Gibson wrap-a-round bridge/tailpiece. The Melody Maker was also available with a bridge/vibrola unit. 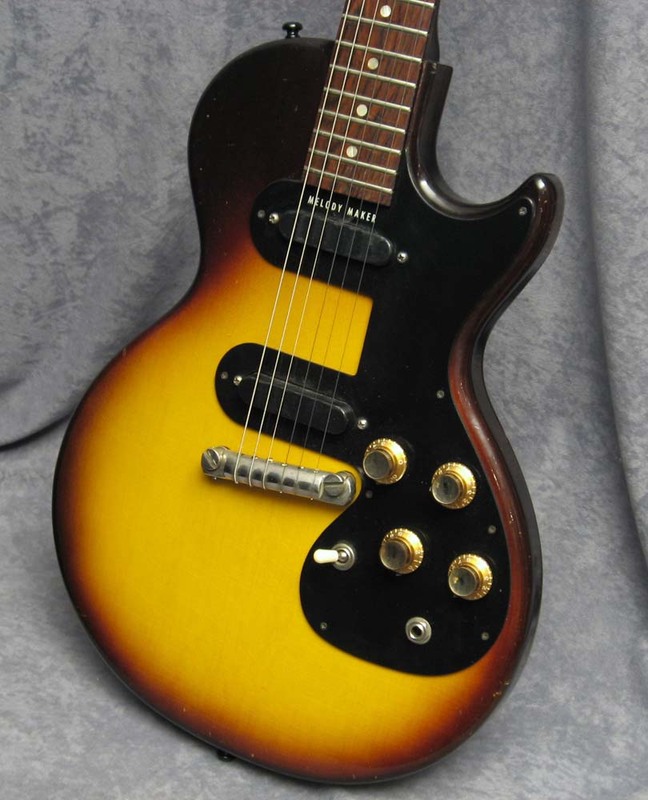 From 1959 until 1961, the Melody Maker had a single cutaway, making the body similar to a Les Paul Junior, however, the Melody Maker’s body was much thinner. The scale of the Melody Maker was 24.75 inches, which was the Gibson standard, although Gibson offered the guitar in a ¾ version with an 18.56-inch short scale. To accomplish this, the neck joined the body at the 12th fret and the bridge was moved farther down the body. Remember the Melody Maker was to be a beginning instrument that a child could play. It was sometime in 1961 that Gibson redesigned the Melody Maker to a double cutaway instrument, discontinuing the single cutaway model. In 1965, Gibson made a slight modification to the horns that made them more pointy. Sometime in 1962 Gibson discontinued all of the traditional Les Paul guitars. These were replaced by a guitar with twin pointy horns and a narrow body. Originally, this new style guitar was marketed under the Les Paul name, however Gibson’s relationship with Paul ended and the guitar was given the model more familiar designation, SG. Perhaps to attract young guitarists to this style of guitar, in 1966 Gibson again redesigned the Melody Maker with the SG style of body. The scratchplate colour changed to white. So were the pickup covers. Gone was the logo on the scratchplate announcing this was a Melody Maker. In 1967, Gibson offered the Melody Maker/SG with one, two, or three pickups (known as the model III.) Additional offerings included the ¾-size model and a twelve-string version (designated the Melody Maker 12.) The twin pickup version was the Melody Maker D, for double pickup. 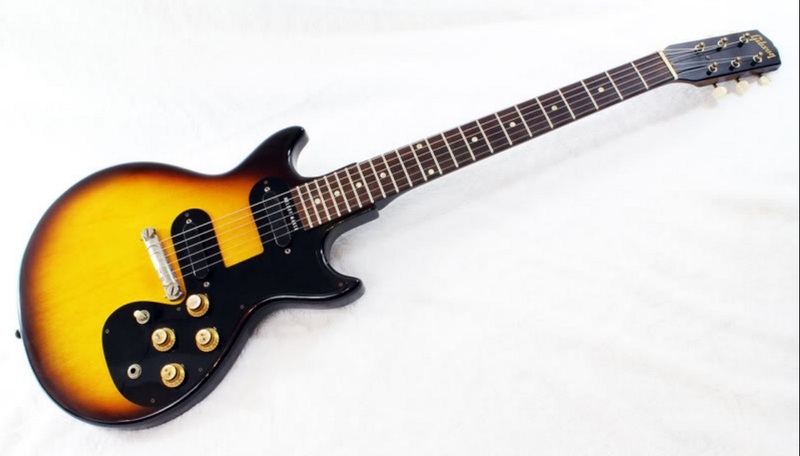 The older model Melody Makers were only produced in dark sunburst finishes. In 1963, the standard finish was cherry. 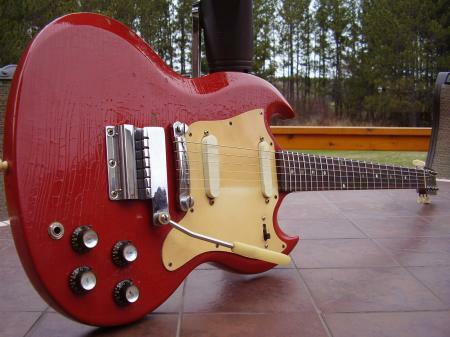 This changed in 1966 when Gibson implemented the SG design. Now the guitar was available in fire engine red or Pelham blue. Nineteen-sixty-seven brought about new choices and the guitar could feature sparkling burgundy, walnut, or Inverness green. Gibson ended the Melody Makers run in 1971 when it implemented some budget models of the SG guitar. But the Melody Maker story does not end here. The Melody Maker double-cutaway was revived in 1977 and manufactured until 1983. Unlike the original, this version came with all metal tuners, a Gibson stop tailpiece and a Tune-O-Matic bridge. The pickup cover was updated with the word Gibson embedded in the plastic. In 1986 the single cutaway Melody Maker was once again in the Gibson line up with a single humbucking pickup in the bridge position and the same parts that were featured on the 1977 version. In 2003, Gibson issued the Les Paul Melody Maker. Instead of a mahogany body, this single cutaway instrument featured a body of Jacareuba wood. The neck for this guitar was made of solid cedar and came with a rosewood fretboard. The guitar came with a P90 pickup in the bridge position. It was very similar to the Les Paul Jr., but for the Melody Maker headstock, white plastic button tuning keys and top mounted jack. The neck was slightly slimmer than the Les Paul Jr. Only 250 of these guitars were manufactured. 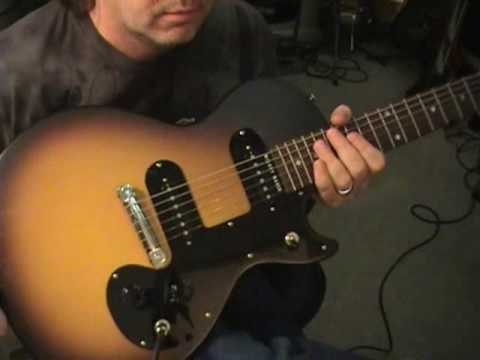 In 2007, Gibson once again brought the Melody Maker back for sale as a single cutaway version. This guitar came with one or two single coil pickups and made to be true to the original version. By this time, genuine Gibson guitars were getting quite expensive and the Melody Maker was an economical way to own a Gibson as the retail price was $490. Within a year, Gibson discontinued manufacturing the two pickup versions. At the time the one pickup version was offered at the same price. However if you really wanted a two pickup Melody Maker, Gibson offered The Jonas Brothers Melody Maker, if you can find one. 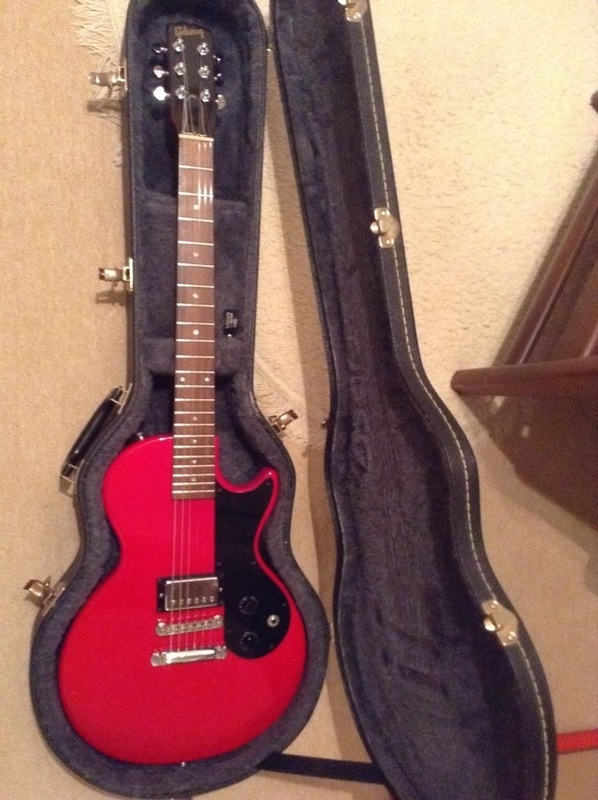 This guitar came with twin P90 pickups, with pickups and controls mounted on the scratchplate and a traditional Gibson headstock, instead of the narrow version. A large “JB” crest is prominently featured on the guitars white body and the boy’s signatures are embossed on the scratchplate. The tuners are similar to Klusons. This guitar is no longer in production. It originally sold for a mere $700. In 2008, Gibson offered the Joan Jett model Melody Maker. The body for this instrument was based on the guitar that Joan purchased in 1977. Her original guitar was manufactured in 1965 when Gibson made a slight variation on the body to give the Melody Maker pointier horns. Joan has extensive modifications done to her personal Melody Maker. Gibson offered this instrument for sale at $920. It comes with one Velvet Hammer humbucking pickup in the bridge position. The fretboard comes with red dot markers and two hearts inlaid on the twelfth fret. The neck is modified to be slimmer than a traditional Melody Maker. The tuners are Grover mini style. This one pickup guitar came with a “kill switch” that is designed to turn the pickup off. The bridge features is a Tune-O-Matic saddle and stop tailpiece instead of the original wrap-around style found on traditional Melody Makers. The scratchplate is larger than the one on a traditional Melody Maker. It was available in a white finish, but that was later made available only with a black satin finish. 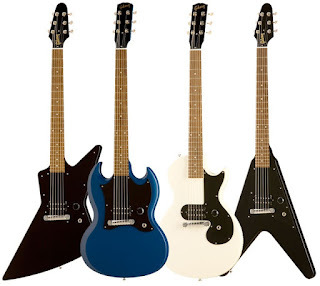 In 2011 Gibson offered four new lversions of the Melody Maker in limited quantities; The Flying Vee Melody Maker, the Explorer Melody Maker, the SG Melody Maker, and the Les Paul Melody Maker. All featured a single humbucker and a single volume knob, which was all mounted on the instruments scratchplate. These guitars were available in blue, satin white, or ebony, and sold for around $829.00 USD. That same year Gibson also produced a limited edition of the two pickup Melody Maker Special. This guitar came with two P-90's, and was available in satin TV yellow, cherry, blue, or black finishes. This guitar featured a standard Les Paul style headstock, and a wrap-around bridge. The last Melody Maker update occurred in 2014 when Gibson came out with the Les Paul Melody Maker. This guitar featured a slightly thinner body than the Les Paul Lite. The guitar's top was carved. The neck was made of Maple, and had a larger '50's rounded profile. The headstock of this instrument was full sized, and the truss rod cover had Melody Maker imprinted on it. The twin P-90 pickups on this guitar were similar to those found on a Gibson ES-125. They had alnico style slugs in them, as opposed to the bar magnets used on most Gibson guitars. A 120th anniversary logo is inlaid on the neck as the 12th fret marker.